Well ….said/written, and yet: https://www.truthdig.com/articles/diseases-of-despair/ I feel there’s validity here too. I suppose that if there is much truth to it, Ruhm’s findings would suggest that we’d need to look past economic indicators. We know so very little about the brain. Perhaps even epigenetics are involved.. I’ve long wondered what evolutionary advantage there is in using mind altering chemicals. Or is it a fluke. A genetic dead end. I suspect in the near future scientists will have a means of testing humans as children to ascertain their susceptibility to opiate addiction. One strong indicator I believe is those that have an amphetamine response to doses of opiates that make most lethargic and tired. They could introduce small amount into a child and measure physiological response. I know for me and most I’ve talked to experienced a hyper amphetamine response with total mental clarity. Similar to what one reports taking Adderall. In fact it was this effect that most appealed to me.. This mimicry of a manic state. Identify those people early and there chart could follow them through life as well as factual info from parents and peers to be mindful of the danger. Clarity over Agreement. Well said by yourself and Bill White. But that is the conundrum.. how to address supply without mass incarceration. Perhaps an opportunity lies within incarceration. Dr. Nora Volkow, the head of the NIDA, once said that it was her opinion that with the law, we have a tremendous opportunity to compel treatment. I’m in agreement. Must be, in my opinion, long term, affordable, and grounded in sound medical practices. Then, we may .. may have a chance. The hows and why’s? If the human brain was so simple that we could understand it… We’d be so simple that we couldn’t… It’s a strange thing to think a human brain can be so hijacked that literally every decision made revolves around acquiring a chemical… Is there even decision at that point? Interestingly enough humans not the only victim. Papaver Somniferum the opium producing poppy has evolved over tens of thousands of years to guarantee its existence with one simple gimmick… Addict humans primarily, who then assure the plants existence… All animals living near opium fields also become addicted… From the airborne opium particles and never move far from the fields. So. We are combating the genius and fecundity of nature….and a few chemists. This plant exists for the sole purpose to addict. How to stop it? Legalize. Regulate. Does it make sense that a 15 year old can acquire heroin easier than a 6 pack. Also I was thinking. From a strict legal perspective. If my brain is hijacked, I am no longer capable of making rational decisions… Therfore I immediately forfeit my right to self determination. My point being, the moment someone found in possession of heroin, commit them to a treatment facility. The cops ought immediately take them. 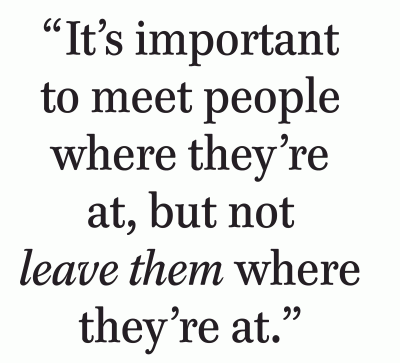 They can not leave…. They are committed by the state mandatory… 6 months. No exceptions. Great article. Naturally, I like alot of humanists out there, fell I in love with the Hari solution because it resonated with humanity in an area so overwrought with shame .However, their is no magic recovery template but a constellation of different causes and possible solutions. and many others that are coexisting and exacerbating addiction in the framework of a chicken and egg and nature vs nurture contrasts that is mapped out on a continuum that is constantly morphing. Finally, to deny genetics as a factor was always shamanistic. I do work with genograms to map out the pattern skip of addictions in families(which often skips a generations. Addicts like this because it shows an evolution of causation based on genes and this goes along way in eliminating individual shame.